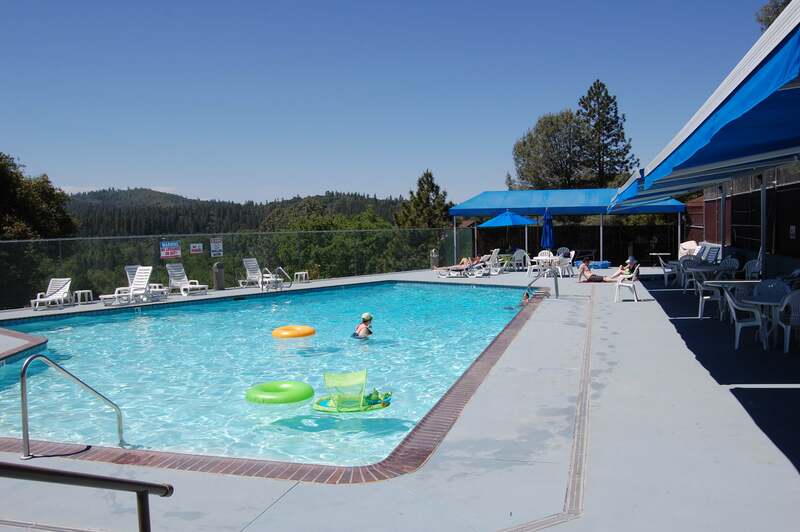 The Pine Mountain Lake Pool is a family recreation center with many different activities: ping pong, board games, cards, books and magazines, water toys, and more are all available from the pool attendants. For your convenience, the Pool also has a snack bar and store. The snack bar and store are open during all Pool hours. Enjoy our quality snacks & goods at very competitive prices! 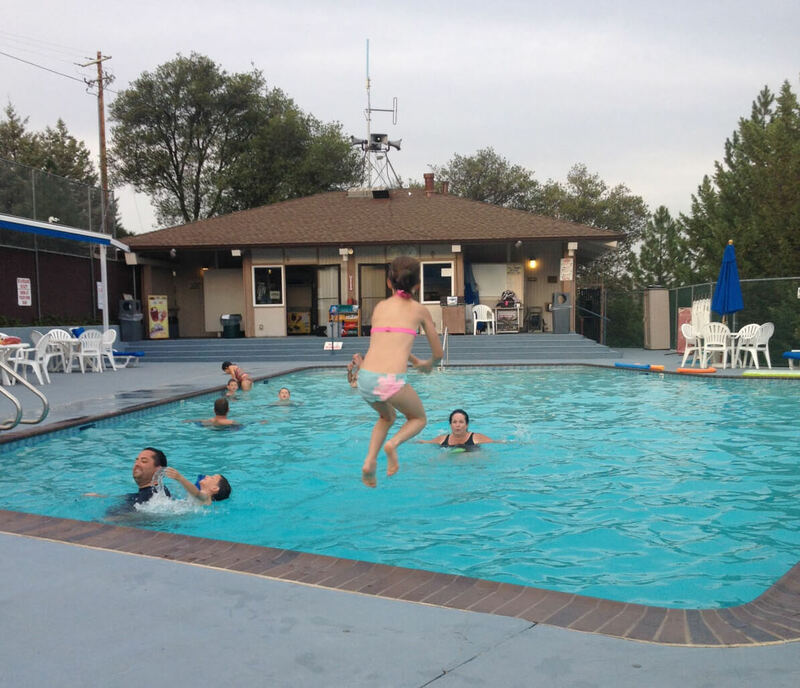 Pool is open seven days a week during the Summer season. There is no charge to use the pool. Guests must be accompanied by a property owner or have a valid guest pass. No admittance without property owner card or valid guest pass. Additional identification may be required, property owner cards are non-transferable. No person(s) will be permitted in the pool area without first registering with pool attendant. SWIM AT YOUR OWN RISK. NO LIFEGUARD ON DUTY! Children under 14 MUST be accompanied and monitored by an adult at least eighteen (18) years of age. Children not potty-trained must wear plastic pants or approved swim diapers "double-bagged" with a plastic pant over it. Please bring your own or purchase them at the pool store. All swim lessons taught by a Certified Water Safety Instructor. Check with pool attendant for registration availability. Come have your child assessed for the correct swim level. There are six levels available for swimmers of all ages. Swim lessons are offered Monday through Thursday between 10 am and 2 pm. Please feel free to stop in or call the pool at (209) 962-8634 for any additional information. Our team will construct class levels and sizes according to the outcome of the swim placement sessions, and classes will officially begin the following week. There are classes for several different levels of swimmers, so mark your calendar and come on down! Please contact the pool staff at (209) 962-8634 for scheduling information. Lesson times will depend on the attendance and the discretion of the WSI (Water Safety Instructor). Please be patient with our staff if lessons and times vary due to the different needs of the children. Remember, as a property owner, you can book a birthday party or family gathering at the pool. 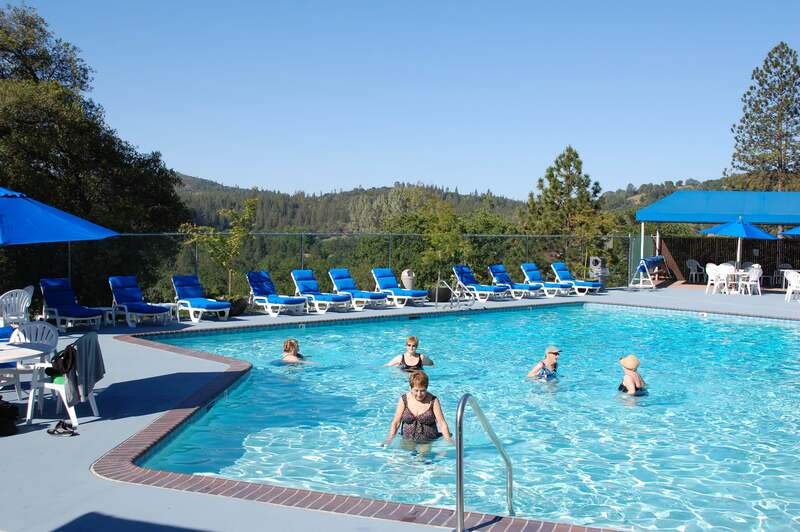 When you reserve time at the pool facility, we reserve space just for your group. You can request the ping pong table, the gas BBQ grill, tables and chairs. You can come in early and decorate. You can even bring your own food and drink (no glass) into the party. Once a month we have our Saturday night pool parties from 5 pm to 8 pm. It's always fun to bring your family and friends, it's really affordable entertainment. We usually play Bingo and have BBQ hot dogs. Everything is just a buck an item and there are even prizes! Open to all property owners and their escorted guests. No charge to participate. Enjoy aqua exercise classes (instructed by selected audio tapes) fitness levels. Each class consists of a series of aquatic exercises which are performed in the pool using the water as resistance. Simply perform the exercises for a safe and effective means of achieving overall body and cardiovascular conditioning. Class by audio instruction from various CD's that run continuously between 8 - 10 am Monday-Friday, and Saturday & Sunday from 9:15 - 10 am. By request, CD's will be run Tuesday and Thursday evenings 7 - 8 pm during open swim time. Check with Pool Attendant for Fall aerobics hours. Enjoy our quality snacks & goods at very competitive prices!